I have definitely fallen behind with blogging but I am here to fix that today! Baby B's parents made a two hour drive to visit me at the studio for her newborn session. She much preferred being all wrapped up so I had to change up my posing flow a little. Almost her entire session was done on flokatis, those are the furry rugs you see in the images of this post. 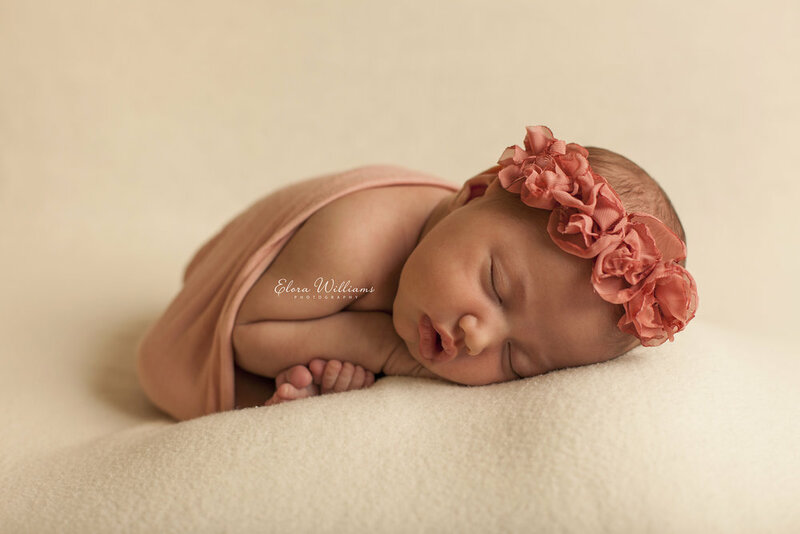 I have really grown to love photographing baby girls on the color pink! These little darlings change incredibly fast! This is one of the reasons I love doing what I do. I am able to freeze these little details for parents to look back on when their babies are no longer able to fit within their two hands. If you are interested in seeing Baby B's mama during her maternity session head on over to the blog post here! Where do I start with this baby girl? Her name is Anna and she is my niece. I have known her since the moment she came into this world, which I mentioned in my last blog post if you would like to hear more about it. Her newborn session was not as planned out as I would normally like for a session. At the time we were still living in an Airbnb with most of our things still stuffed in suitcases. Thankfully my sister has lots of space in her house so I was able to set up and shoot Anna there. However, this girl was not interested in me or going to sleep. Unfortunately we did not have a lot of time to work with but in the end I think we ended up with some gorgeous images. Don't you? Miss Felicity is the daughter of a good friend of mine, who I love to get in front of my lens! I had the pleasure of photographing Lydia's maternity pictures for her first pregnancy, as well as her first baby Isaac's newborn session. I love being able to photograph them at this age, and to be able to compare all their little details! I have to say Isaac looks just like his mummy and Felicity takes after her daddy!